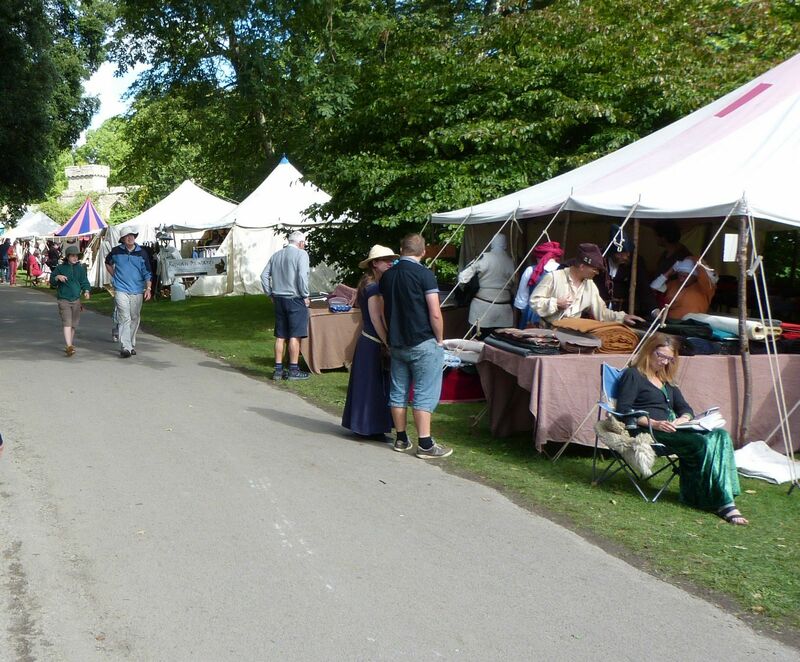 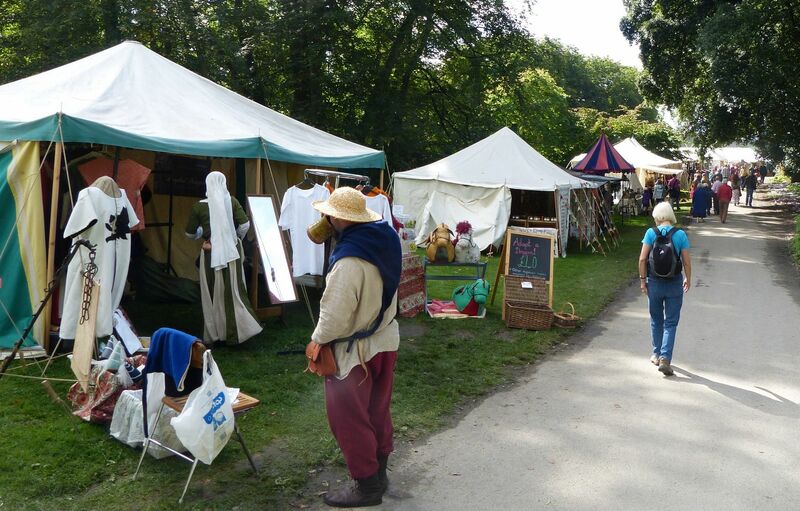 Two shots of the market at Croft Castle, and two photos of the campsite for the re-enactors. 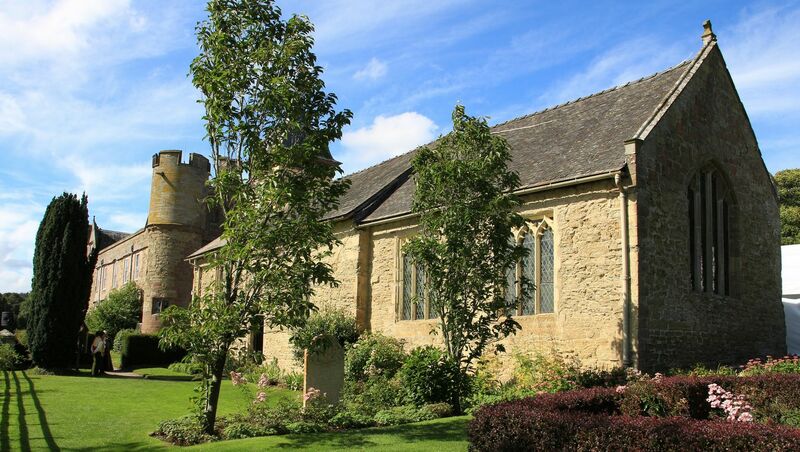 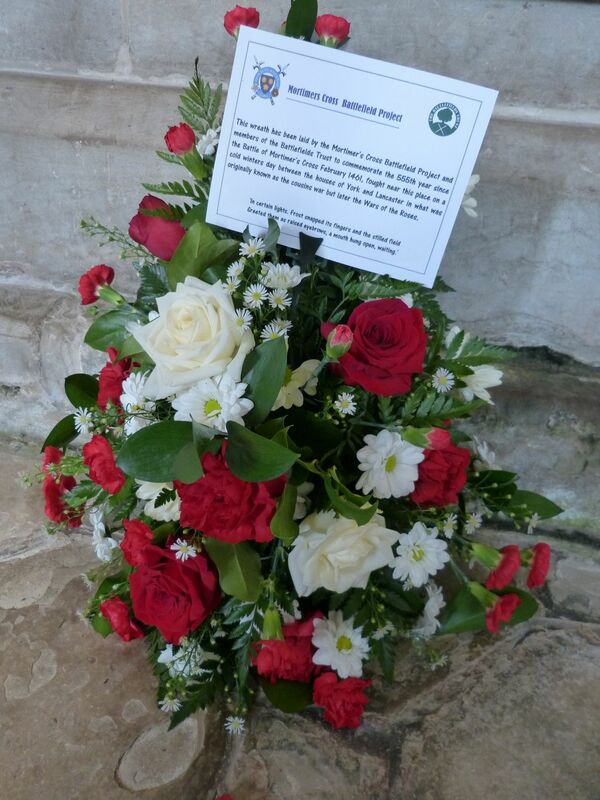 The church and the floral tribute inside to Sir Richard Croft who fought for the Yorkists at the battle. 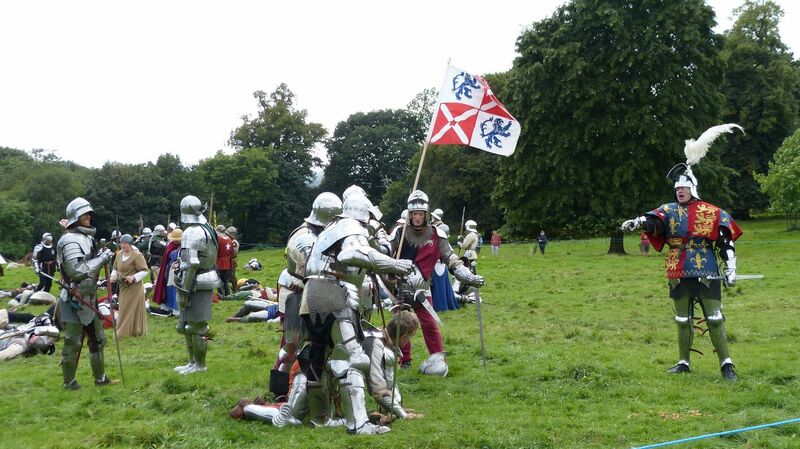 A view of the castle and church from the field where the battle was staged. 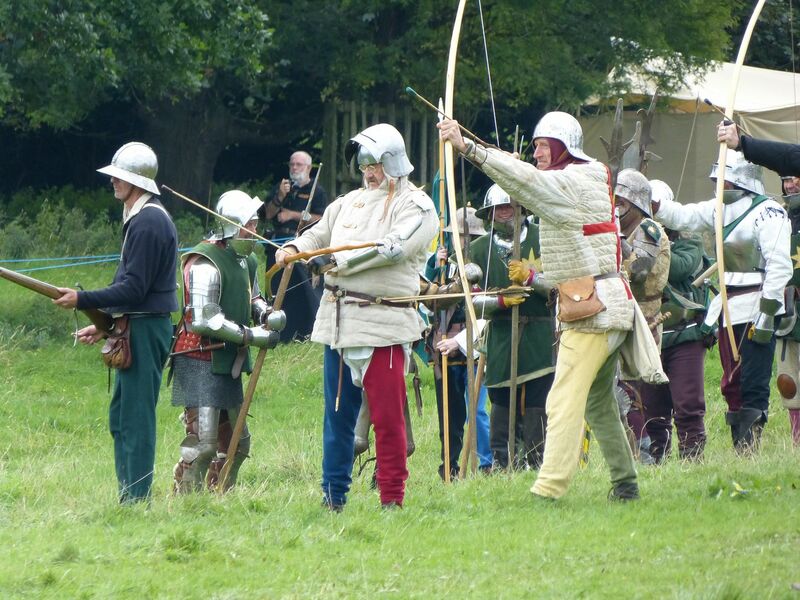 Finally the archery competition before the main battle. 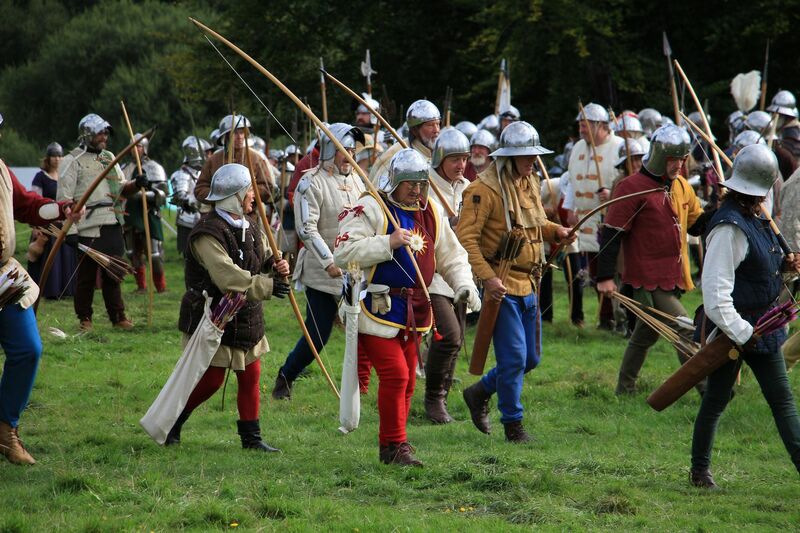 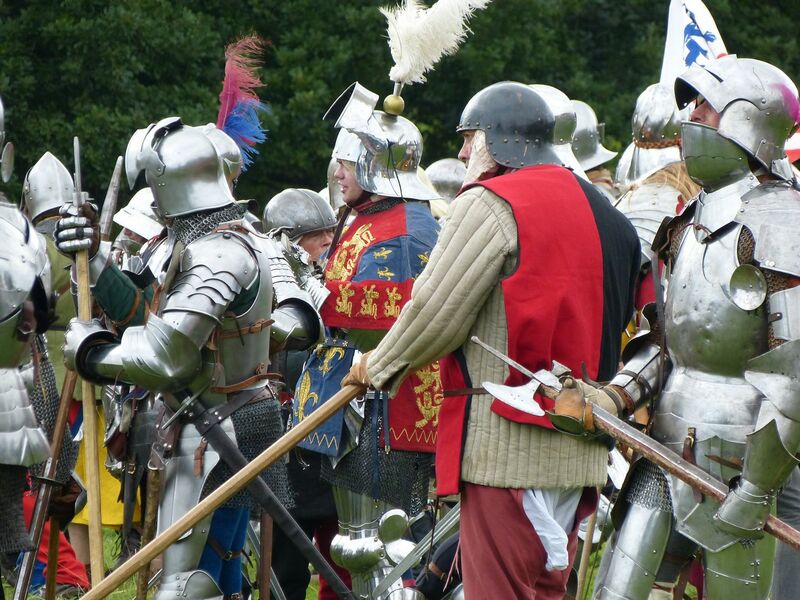 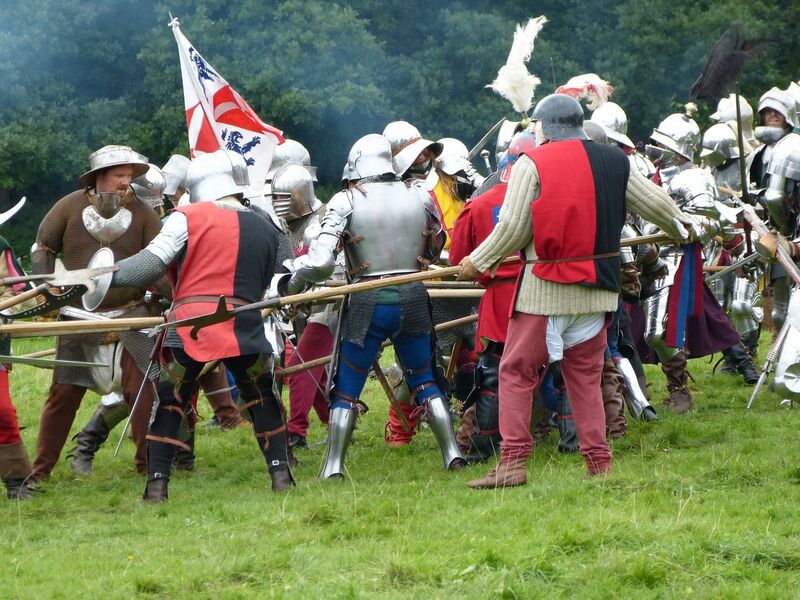 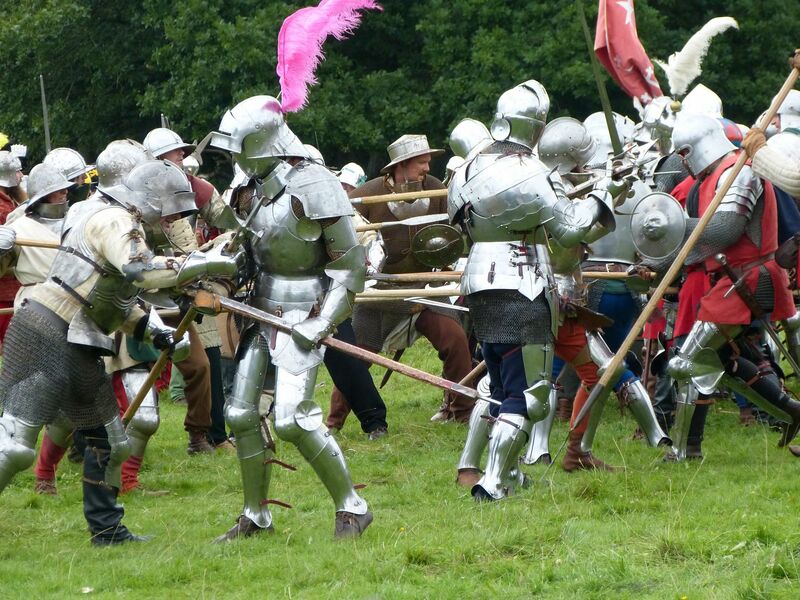 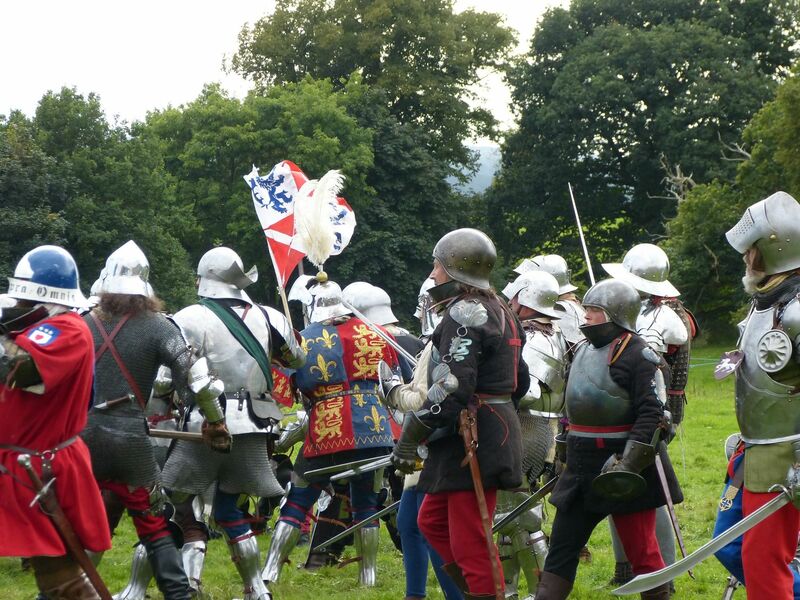 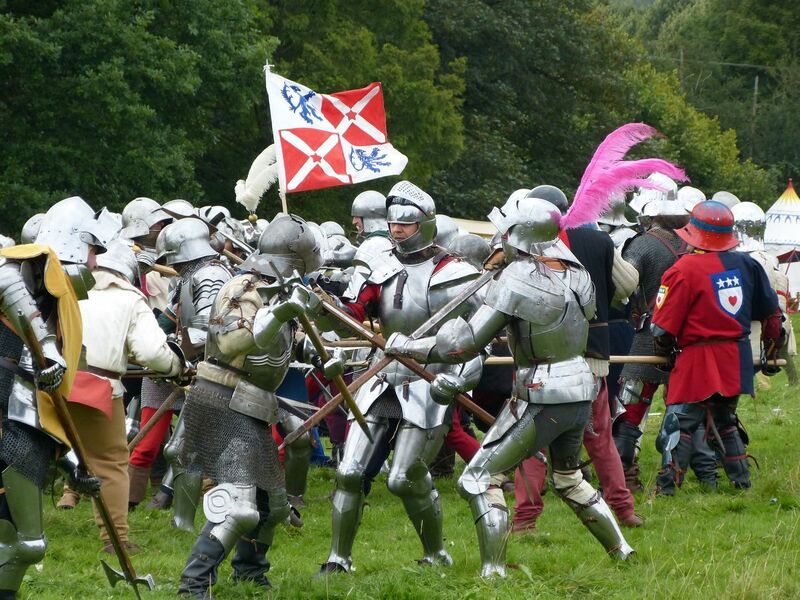 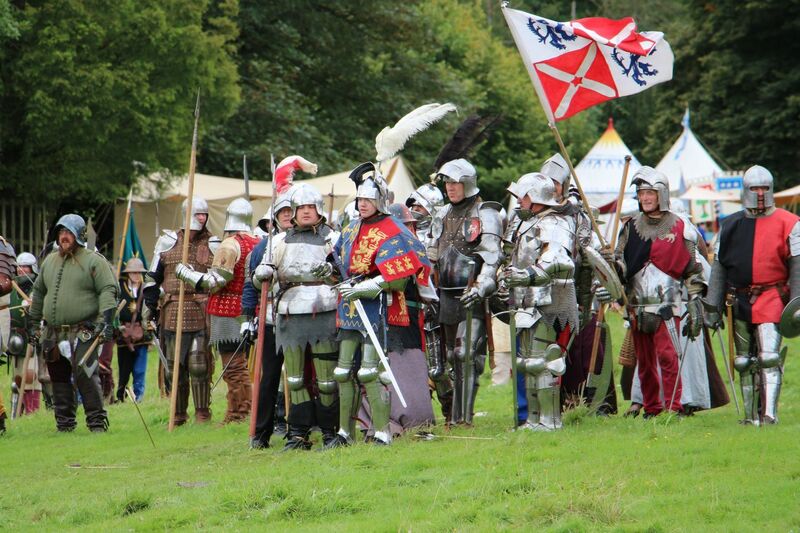 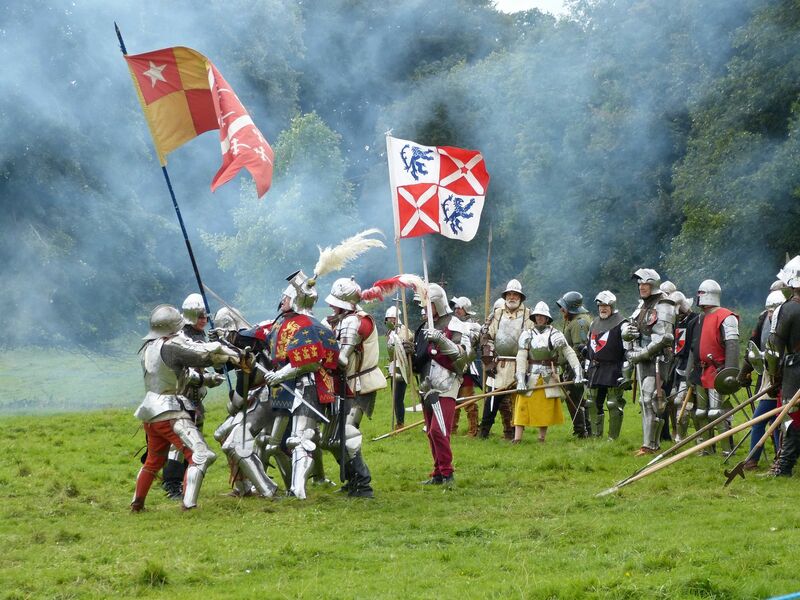 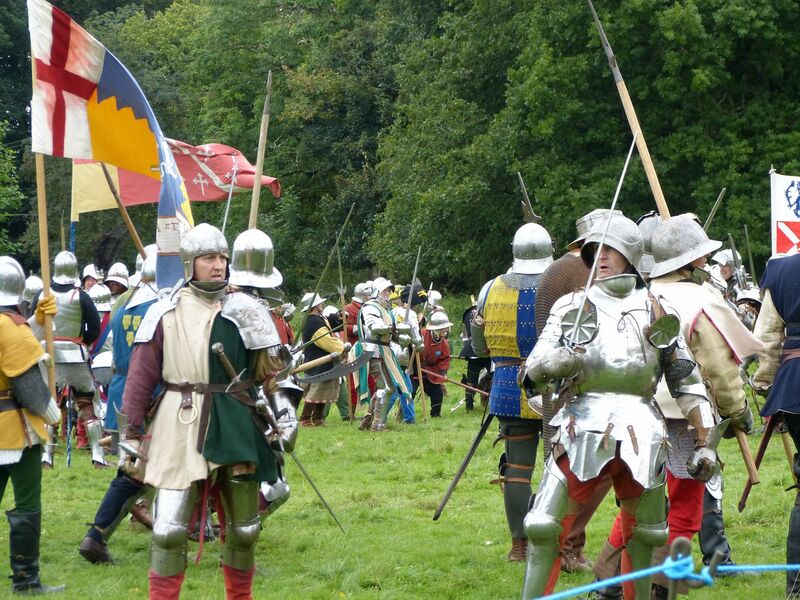 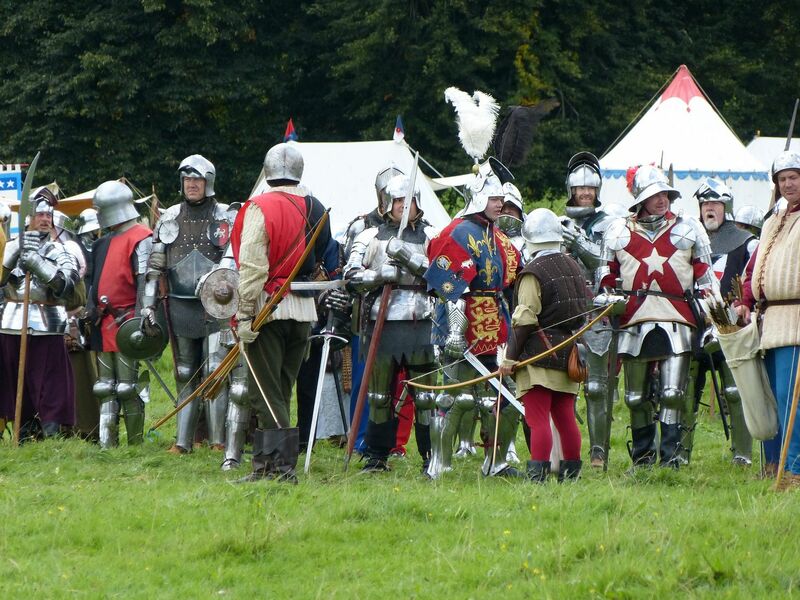 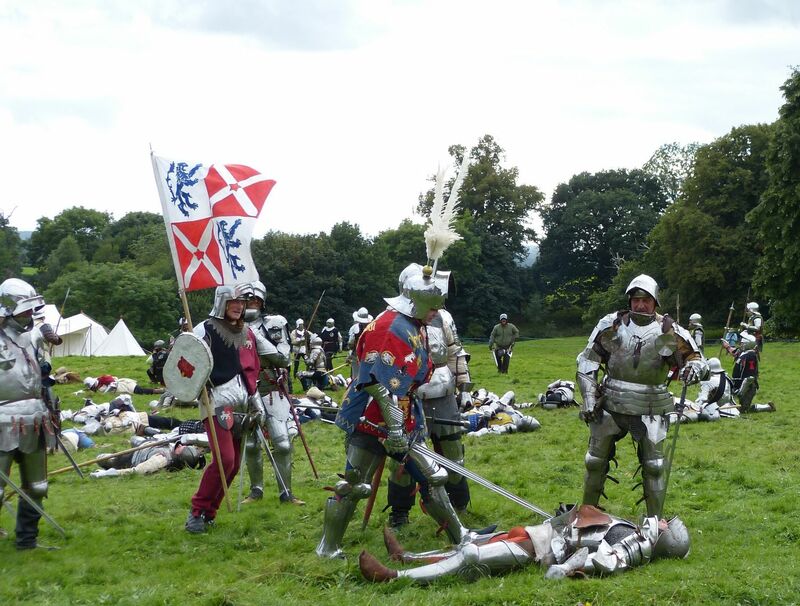 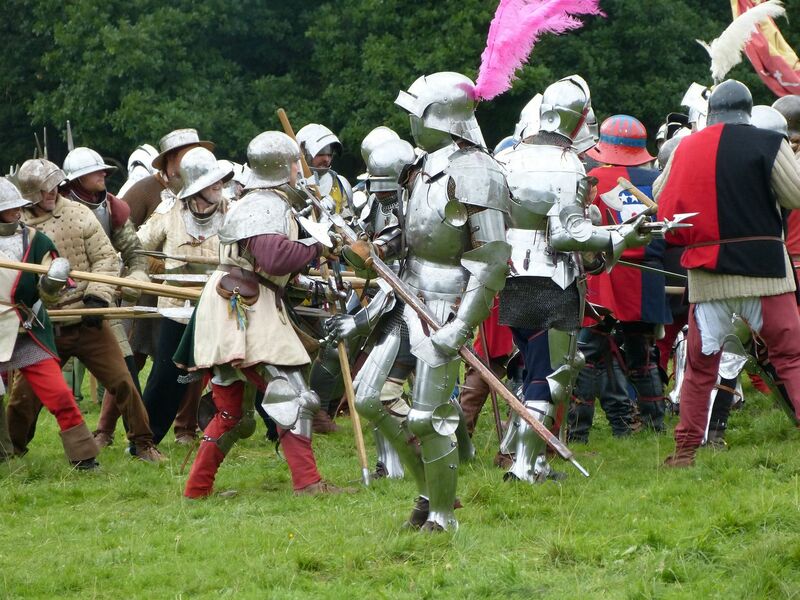 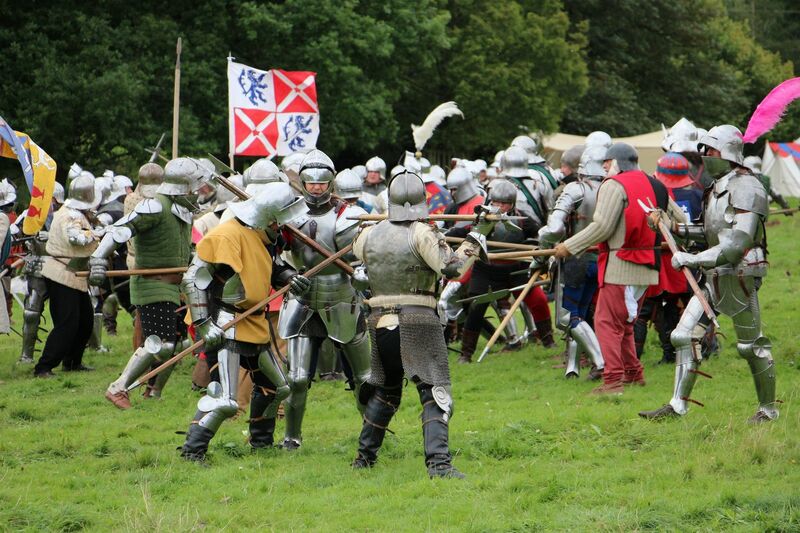 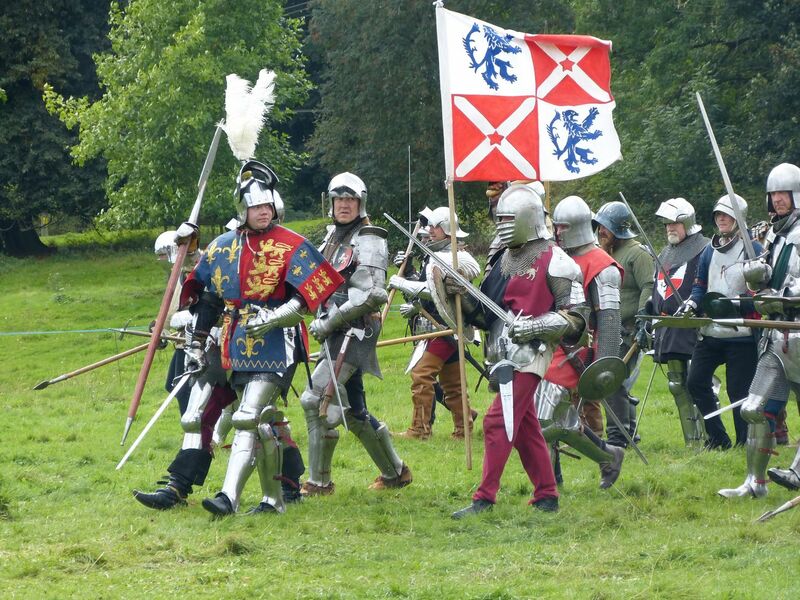 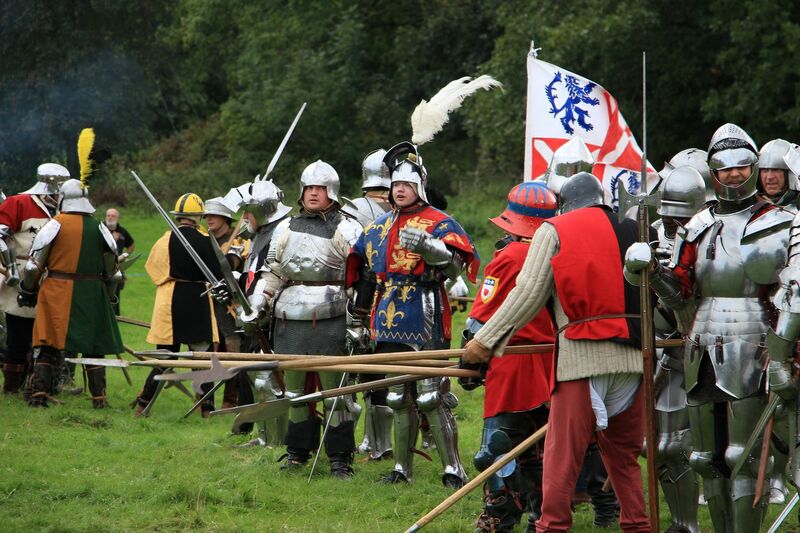 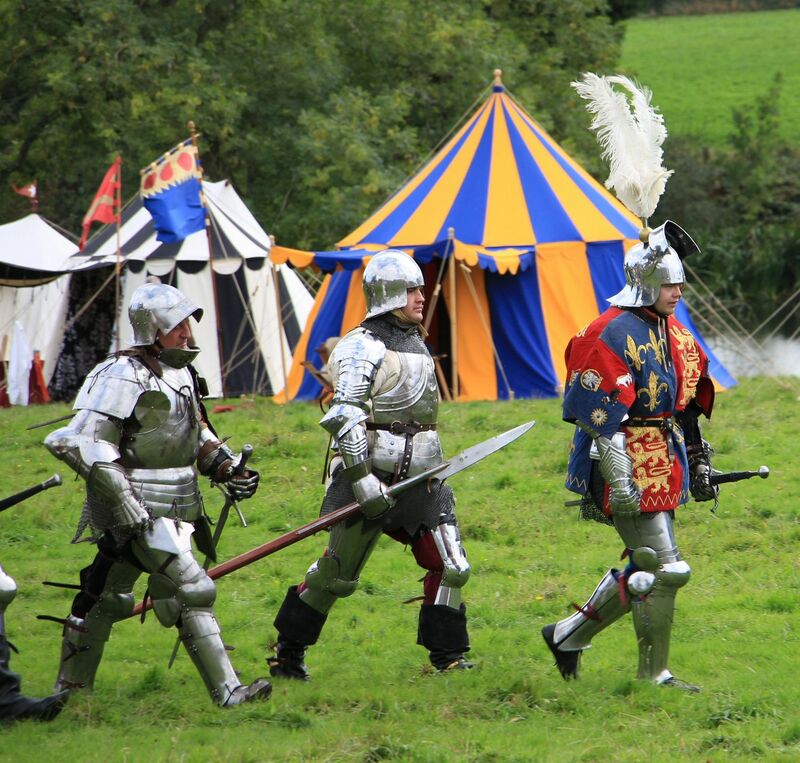 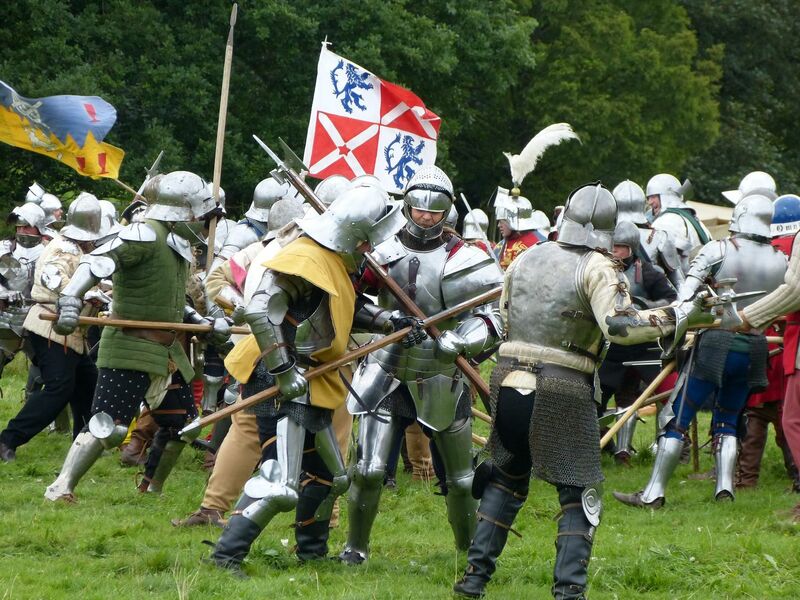 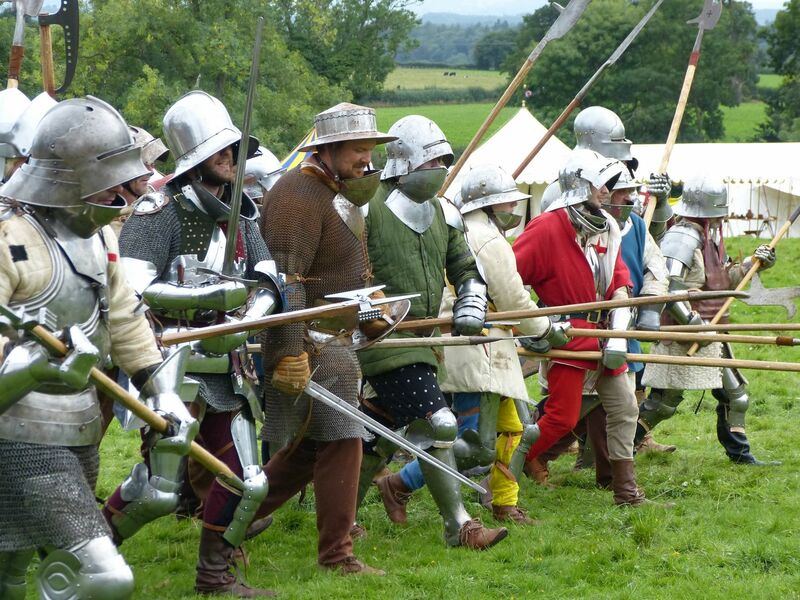 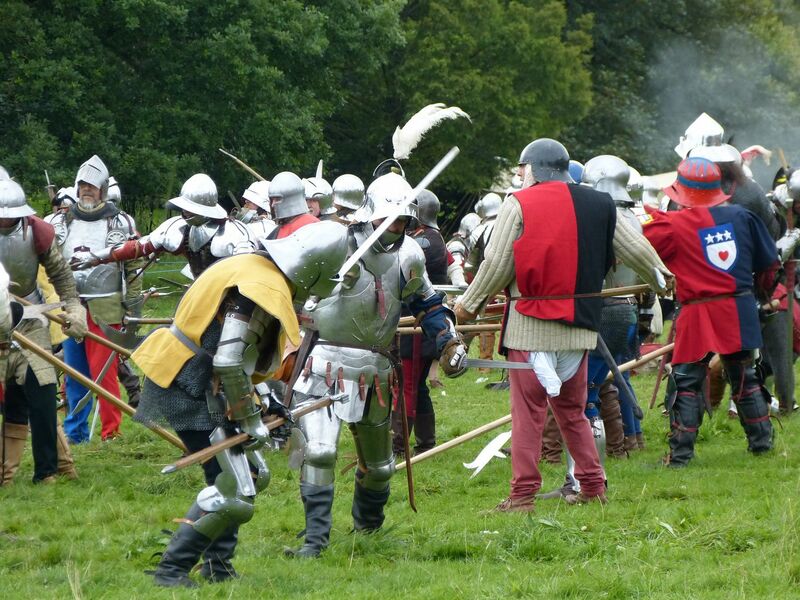 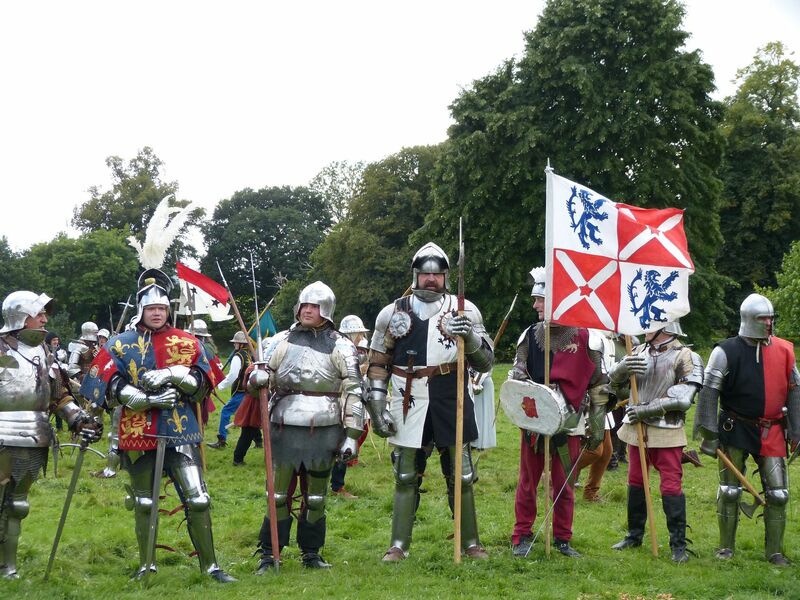 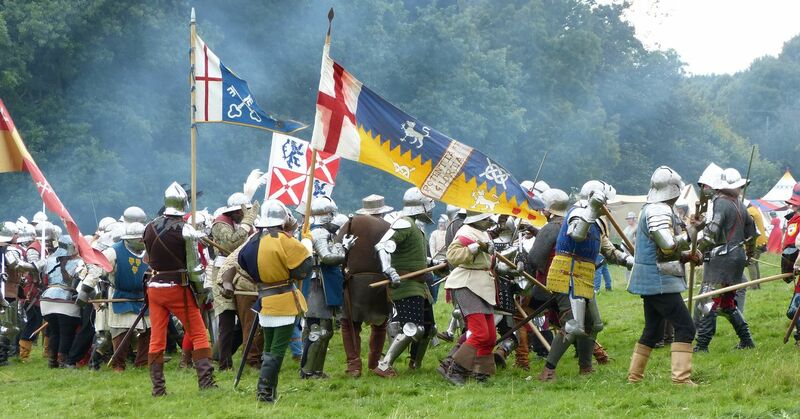 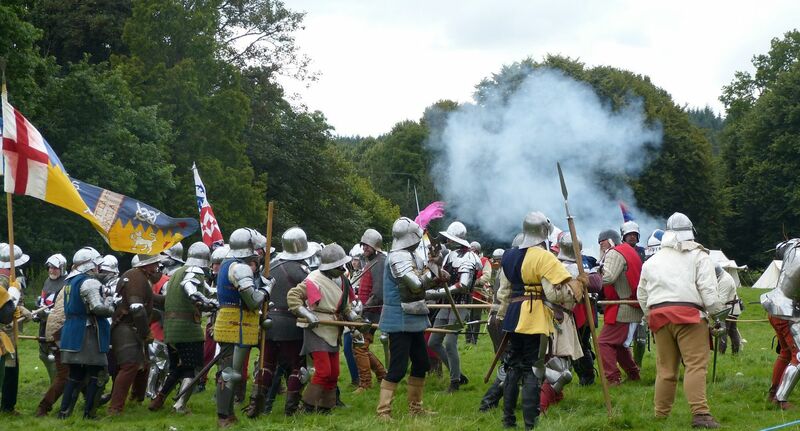 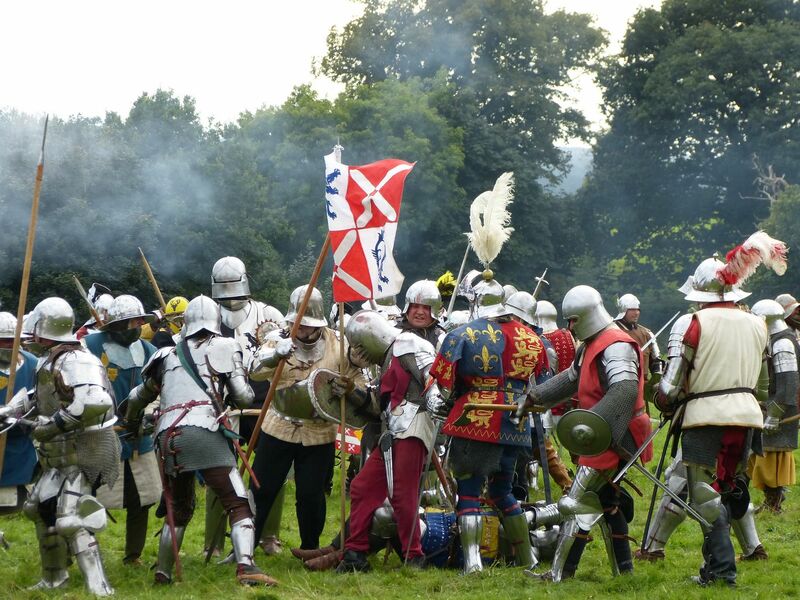 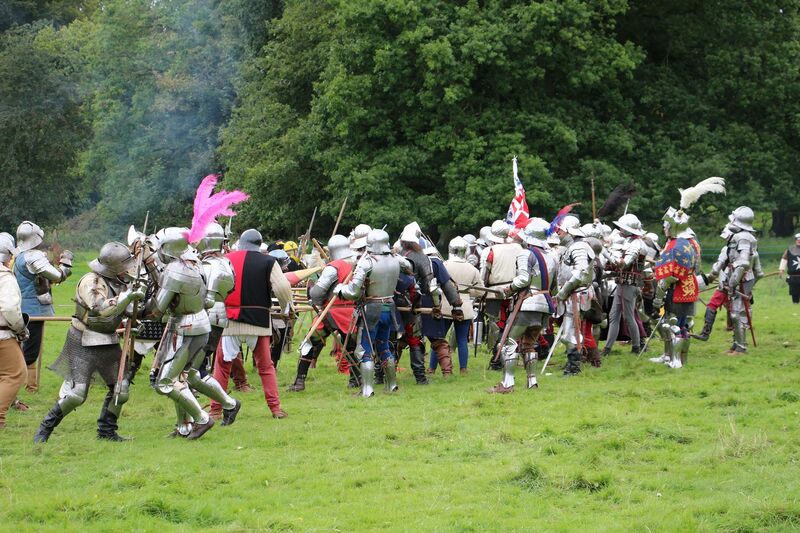 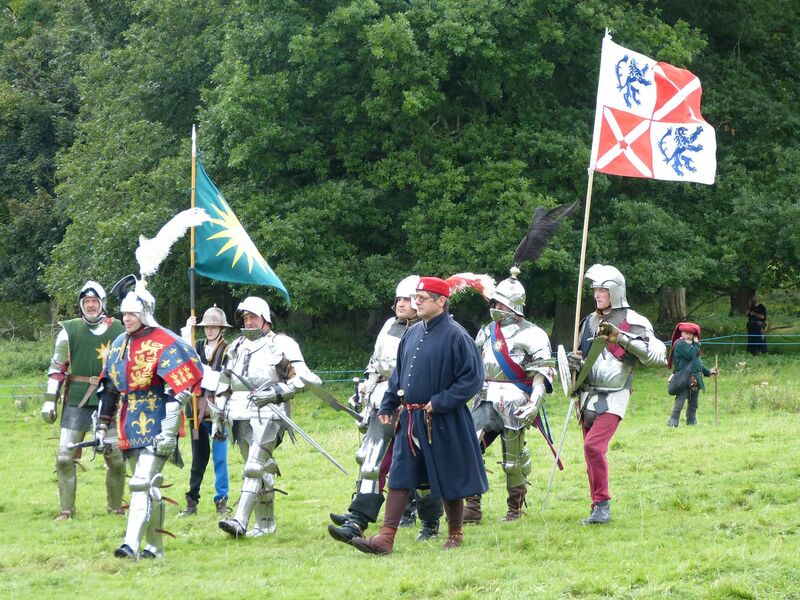 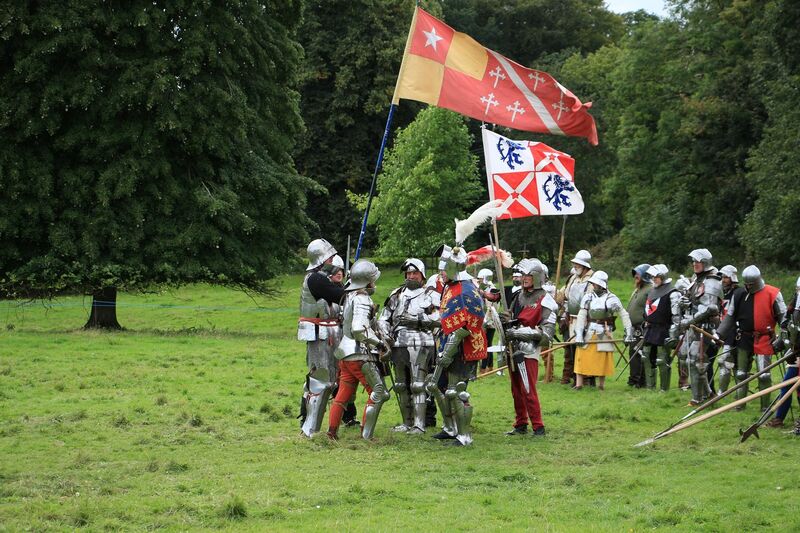 The Yorkist troops under the command of Edward Earl of March move onto the battlefield for the 4pm re-enactment at Croft Castle. 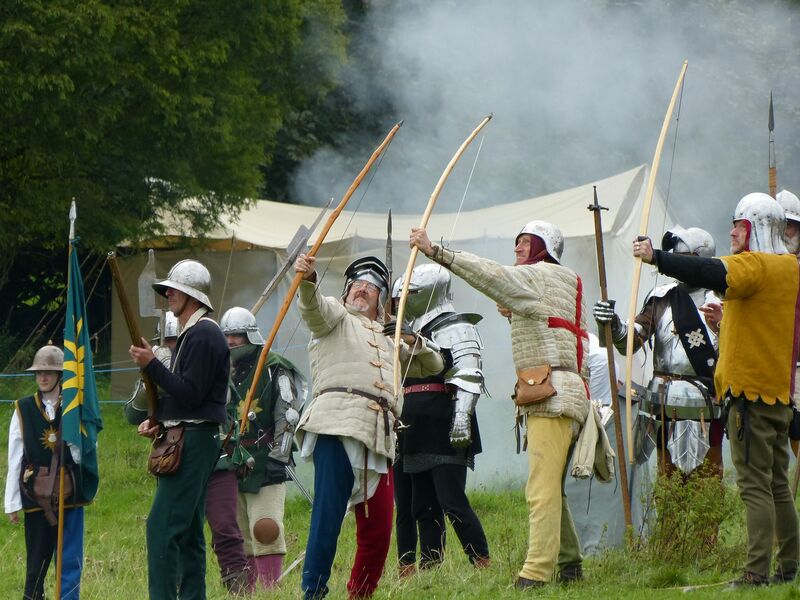 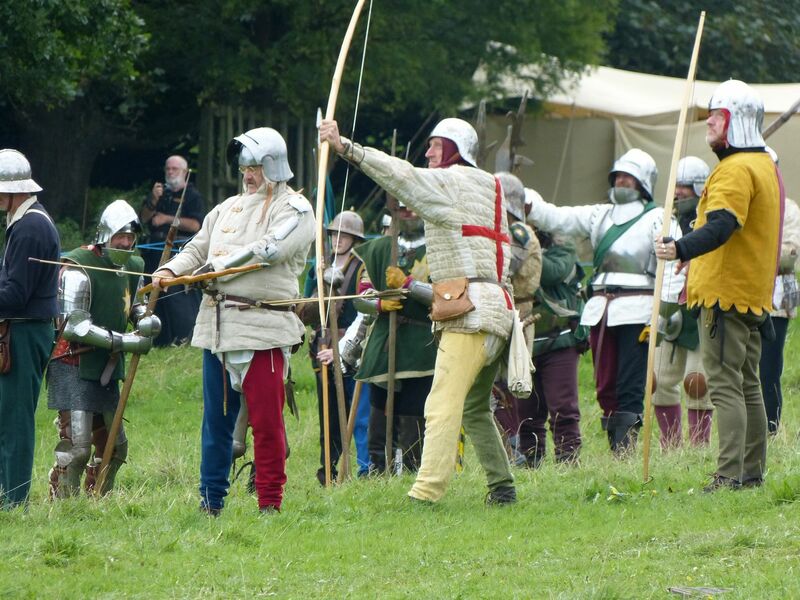 The Yorkist archers take aim and fire at their Lancastrian opponents under the command of Jasper Tudor, Earl of Pembroke. 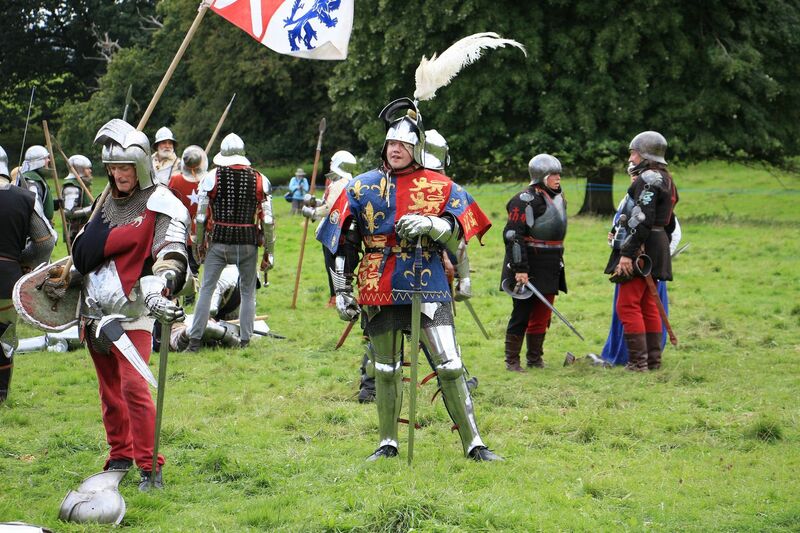 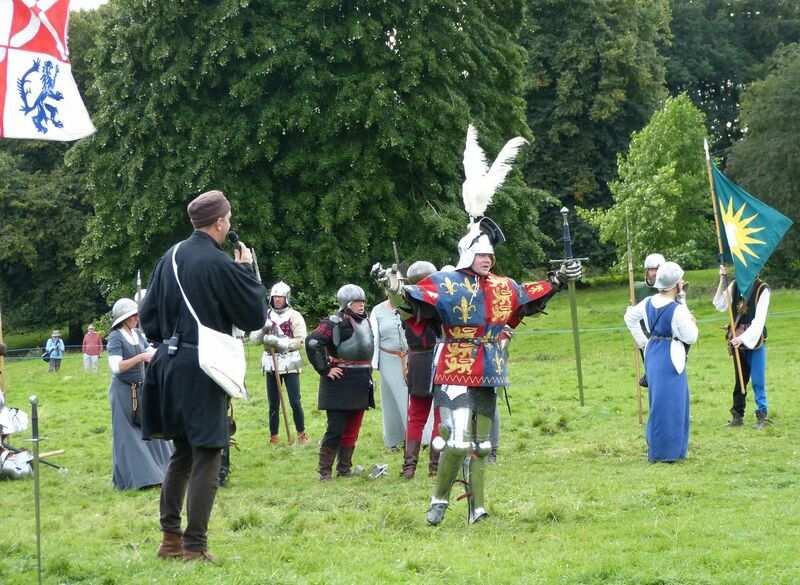 Edward Earl of March watches as the Lancastrians start to advance. 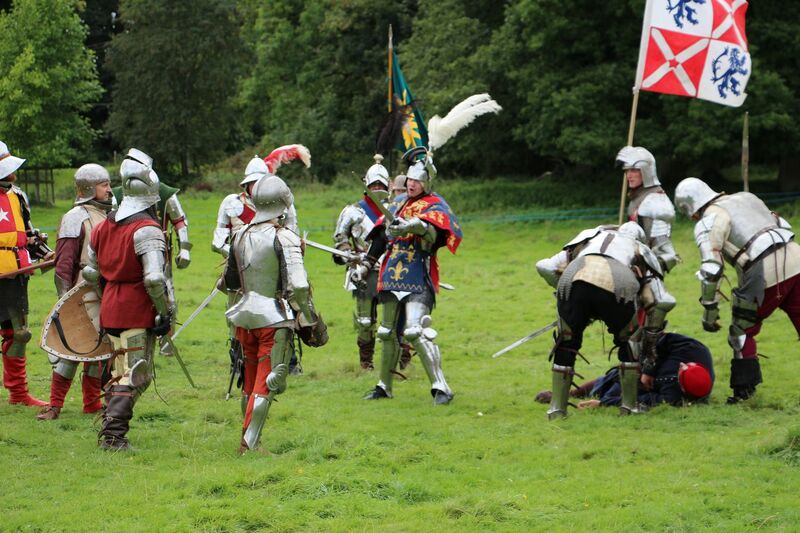 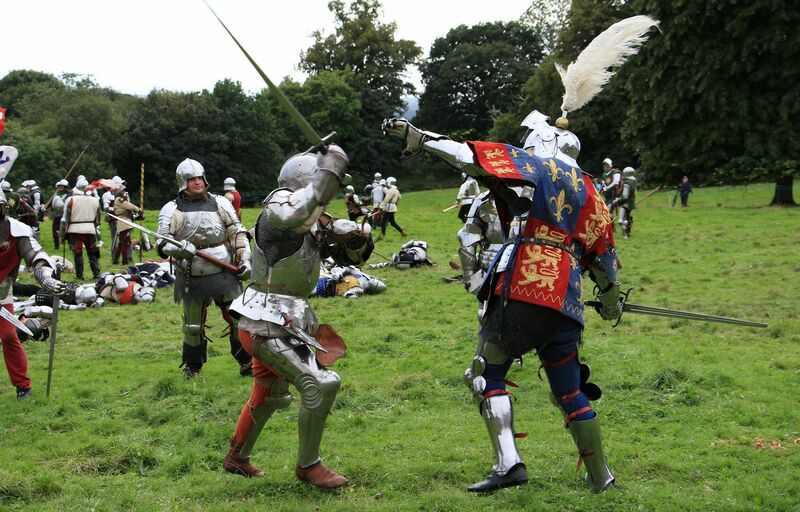 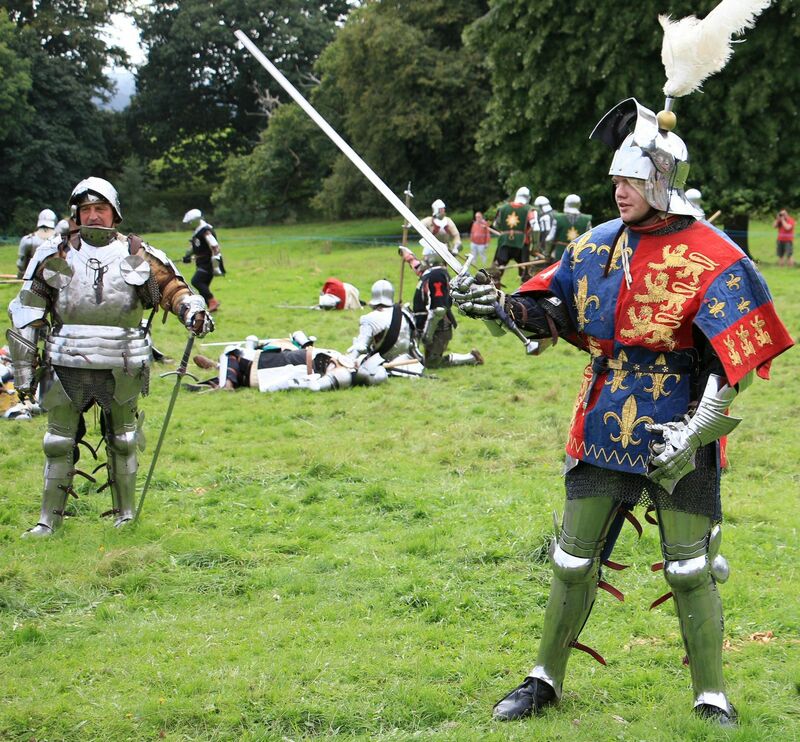 Edward Earl of March inspires his men by fighting alongside them. 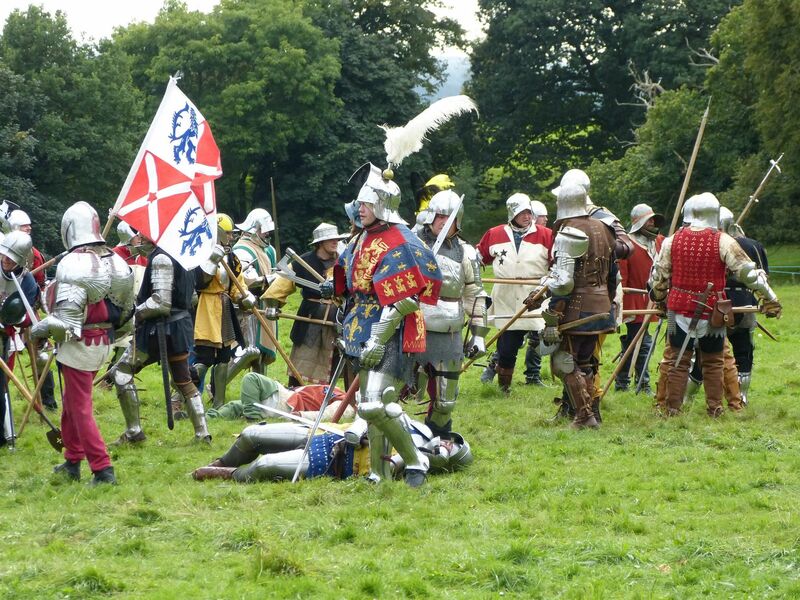 Fighting ends briefly for the men to catch their breath. 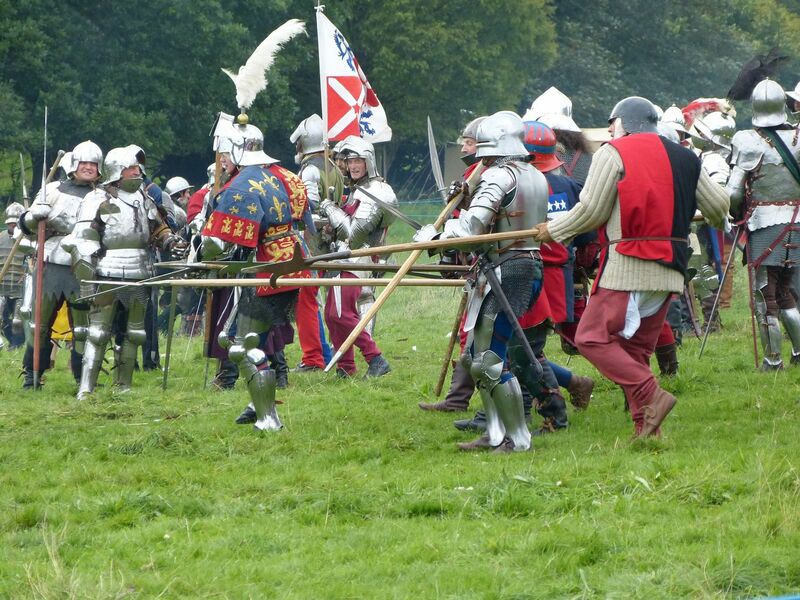 Edward rallies his men and goes for a parley with the Lancastrians, which ends in failure. 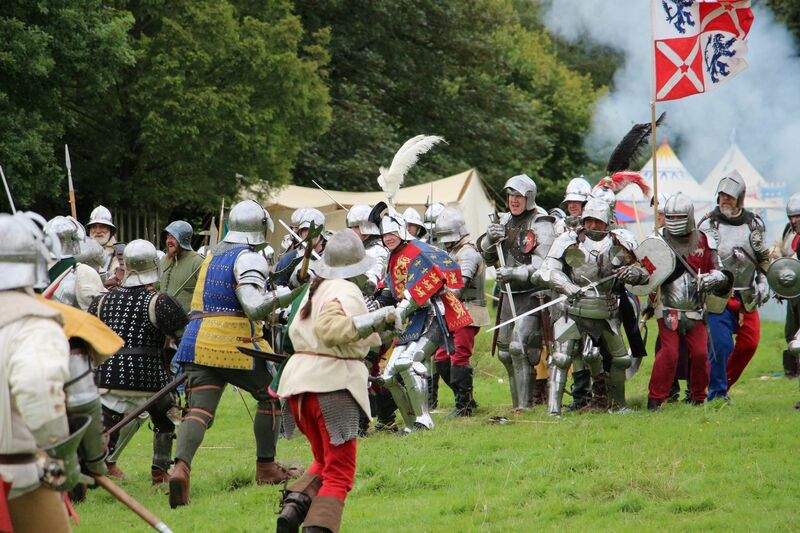 The battle resumes and Edward's men are victorious. 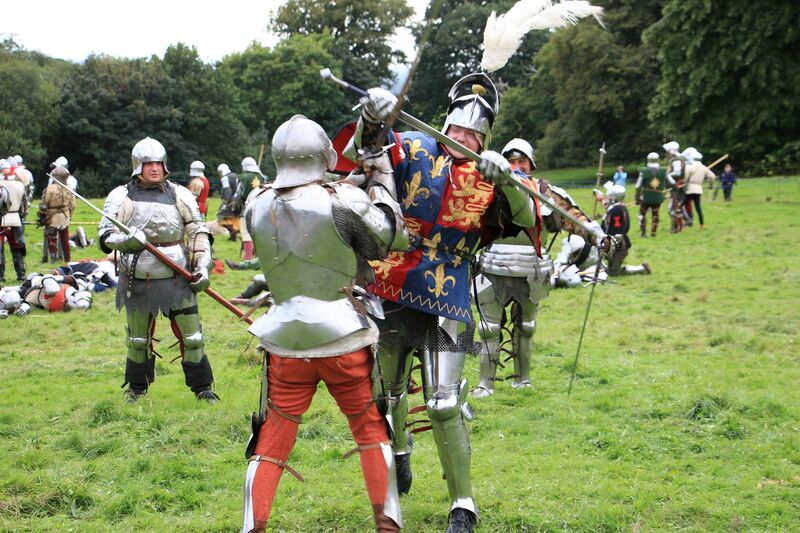 Edward challenges Owen Tudor to a duel and Owen Tudor is defeated. 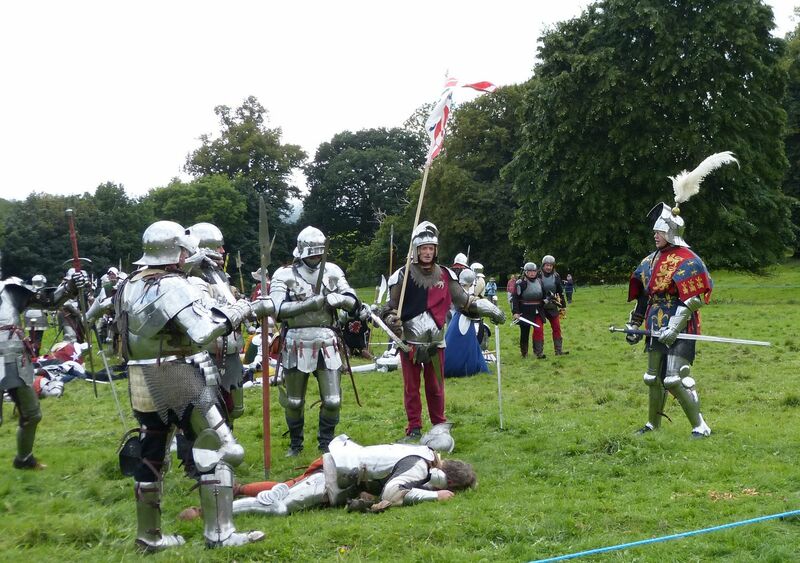 In reality Owen Tudor was captured and beheaded in Hereford after the battle. 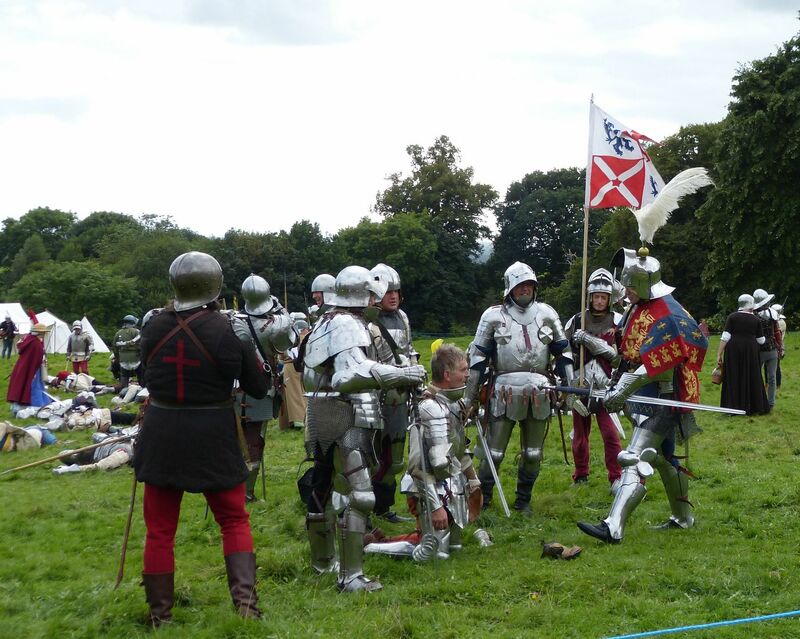 After defeating Owen Tudor - good news! 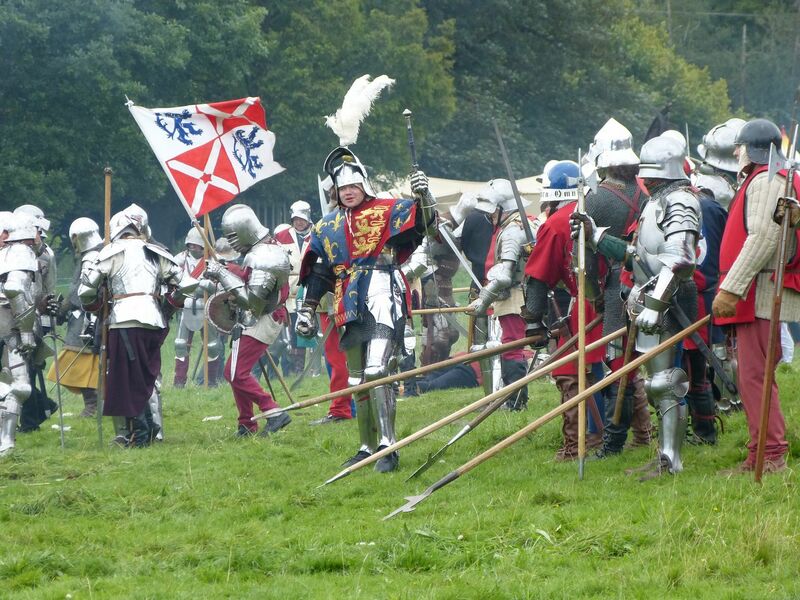 The Yorkists are declared the victors. 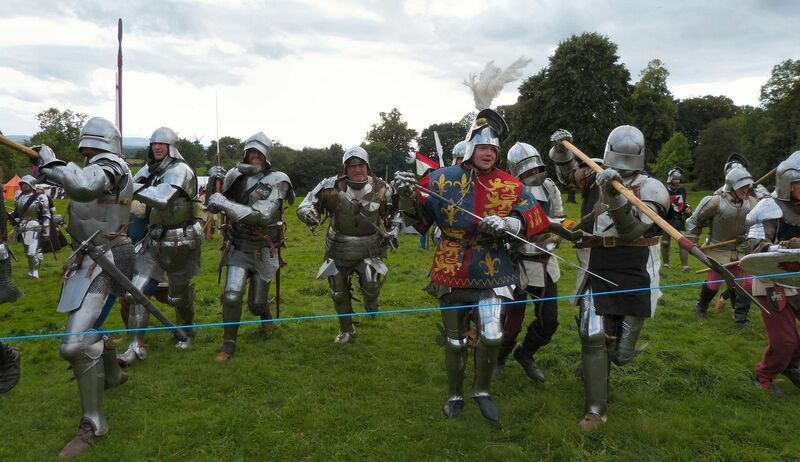 Edward Earl of March is surrounded by proud soldiers. 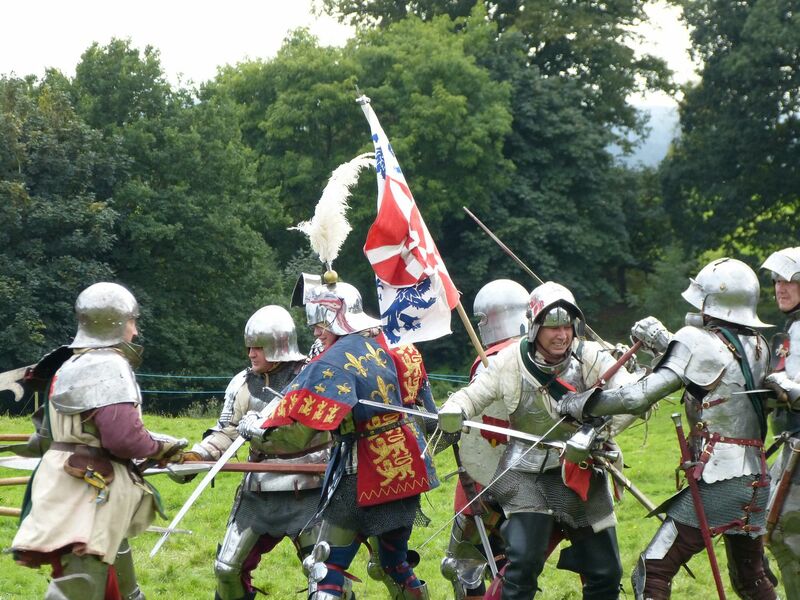 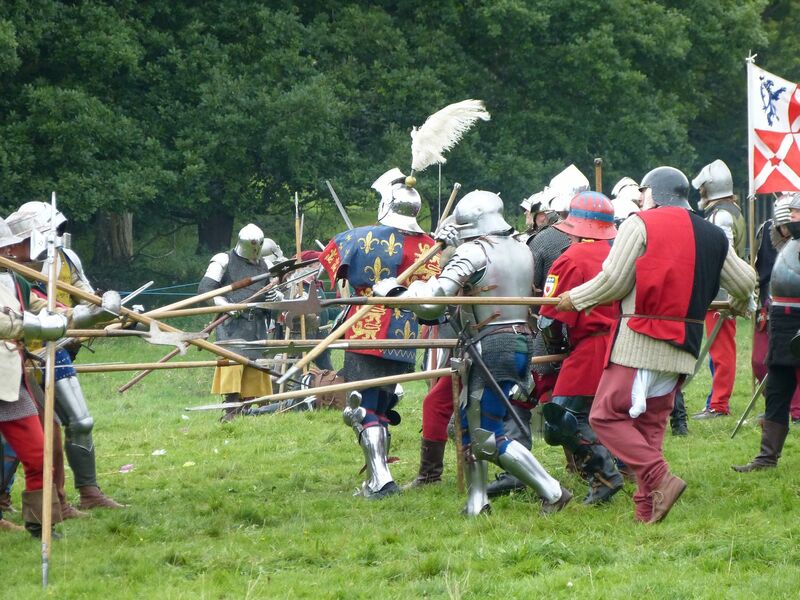 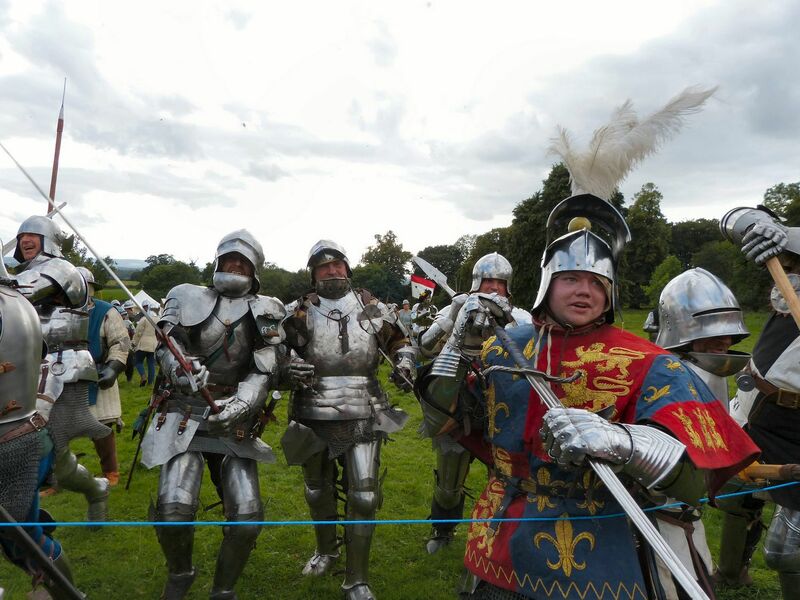 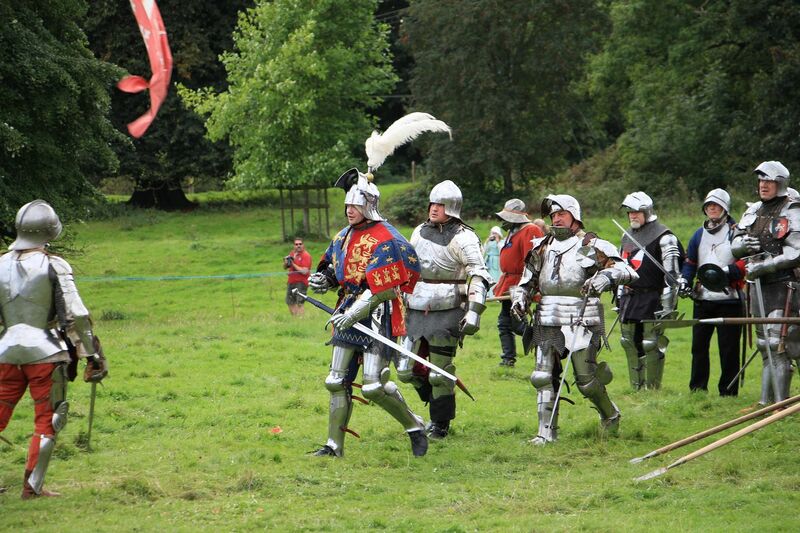 The Yorkist army gives the audience a taste of what it is like to be facing a charge!